What is a Better Life? 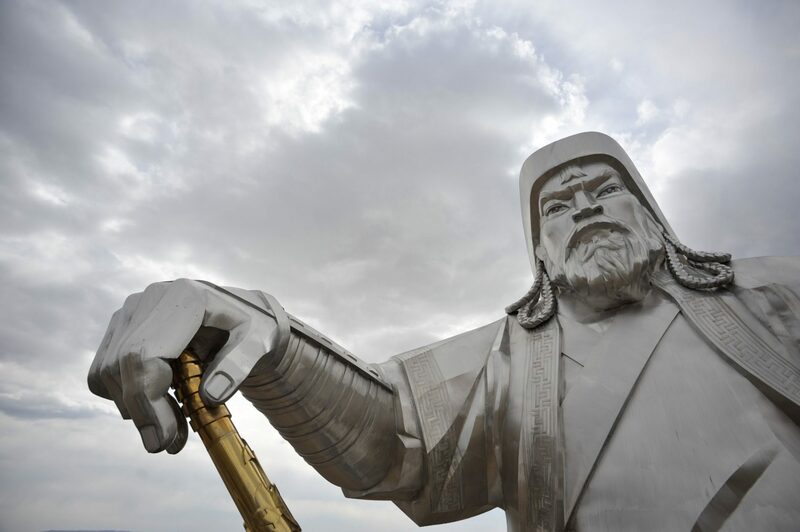 Temujin was born and raised on the high steppes of Mongolia. His father was killed when Temujin was young. Then his family was excommunicated from the tribe. His family was left to die. The family suffered as it struggled to survive, which they did through the persistent efforts of Temujin’s mother. Temujin grew into a man and warrior, and became the khan of his new tribe. He joined the various tribes together into one large Mongol tribe becoming the Great Khan, or Genghis Khan. Then he used this large Mongol tribe to conquer much of Eurasia. The World War II generation went through hell. It was the bloodiest war in human history with more than 70 million total deaths. When the war was over and the soldiers returned home, they made a commitment to make sure their children would have a better life than they did. They’d suffered, like Temujin had, and they didn’t want their children to experience the same thing. So, they provided many comforts for their children, in the hopes that this would make their children’s lives better. We tend to equate “better” with comfort. We want our children to have a better life than we had. Yet, added comfort can actually cause us to complain more. We shrink from challenges and become ungrateful. It’s normal to seek secure, comfortable, and safe situations. What’s not helpful, though, is thinking stressful experiences shouldn’t happen. It’s natural to strive for comfort and resist stress, but if we cling to comfort and move away from stress, then we don’t allow ourselves to learn and grow as human beings. There’s no such thing as stress-based motivation. Comfort-based motivation is natural. We’re not lazy if we seek comfort. Inspiring goals direct our natural comfort-based motivation in the direction of the stress we’ll inevitably experience as we work toward the goal. We guide the comforts we give our children by having an inspiring goal: raising confident, responsible, and capable children. An inspiring goal prevents us from coddling children and keeping them in their comfort zones. It prevents us from sheltering them from stressful experiences, doing work, and teaching them skills. It’s easier to just let them do what’s immediately comfortable for them. What’s harder is to set these goals and find balance between enjoying comfort and providing learning opportunities for them. These goals guide how we give comforts to children. Confidence comes from repeated engagement in stressful experiences; children become confident that they can deal with struggles. Responsibility comes from delegating tasks to children, such as chores, and following through to make sure they do them. Capability comes from teaching children a wide range of skills so they can take effective action when they encounter challenges. All of these qualities put children into stressful situations so they can learn. The confidence, responsibility, and capability that children gain through these experiences give them the comfort we desire for their lives. Temujin and the Mongols lived in a harsh, cold environment. They believed that a disciplined mind was needed, that action was always more important than complaining. Temujin was disappointed by the attitude his children developed. They’d grown up in privilege with diminished suffering. He thought they were spoiled and didn’t appreciate what they had or understand the responsibility of their positions as leaders. Temujin provided a “better life” for his children, but inadvertently took away too much harshness from their lives. Similarly, the children of American World War II veterans were coddled due to the post-war economic prosperity. Our understanding of a better life changes when we have a goal that gives us a long-term view. A harsh life trains the mind to be disciplined and to be grateful for the comforts we have. The right amount of harshness can help us learn rather than complain. The right amount of harshness can help us be confident, responsible, and capable. The right amount of harshness can help us do our part and be contributing members of our world. Next Post¿Qué es una vida mejor?